Sen. Joseph Addabbo tells Legal Sports Report that he believes the governor’s office is coming around on the constitutionality of online betting but wanted to see more “enthusiasm” for the idea from the Assembly. The Senate included language to authorize the activity in its budget proposal, but the Assembly did not and was never open to such discussions. The $175 billion budget approved Monday morning has no mention of sports betting. “One house was enthusiastic, one house was not, and the governor was saying I need both houses to be enthusiastic about this before I become enthusiastic,” Addabbo said. From the beginning of the budget discussions, the office of Assembly sports betting bill sponsor Gary Pretlow told LSR that he didn’t see any chance of mobile sports wagering being placed in the overall budget and wasn’t a fan of placing policy in the budget, which seems to be a view of the Assembly as a whole. Assembly Speaker Carl Heastie also seems to be resistant to any form of gambling expansion in New York. This brings back memories of the years that the New York Senate passed online poker legislation only to have it thwarted by the Assembly. Addabbo contended that the state left $100 million on the table by not allowing for mobile wagering. Governor coming around on constitutionality? As budget discussions began, Gov. Andrew Cuomo downplayed the financial impacts of sports betting for the state and expressed doubts on the constitutionality of mobile wagering in New York. The state constitution was amended in 2013 to include sports betting at casinos, but did not specifically mention online. Addabbo did think he saw progress in discussions with the governor’s office during the budget process. Addabbo stated that his efforts now turn to a standalone bill. He expects to hold a series of hearings in his Senate Racing, Wagering and Gaming Committee that will focus on mobile wagering, the kinds of sports betting that should be offered (in-game) and different venues where sports betting could take place (such as stadiums and arenas). With the New York legislature only working three days next week and then taking two weeks off, Addabbo indicated that he is looking at early May for the first hearing. 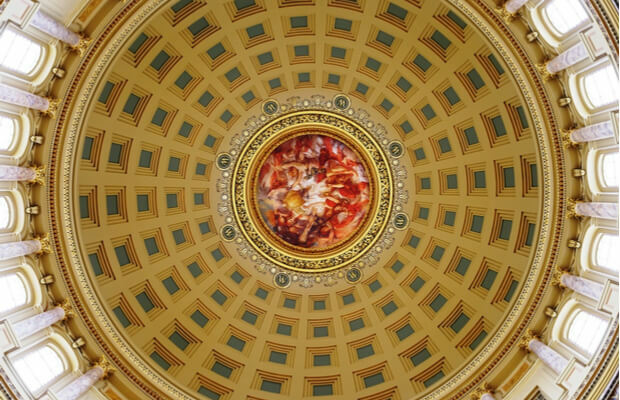 The legislative session goes until the end of June.